A couple of months ago I blogged about using a Raspberry Pi as home network monitoring agent. The idea was to collect data from home networks and compare the performance of different ISPs as well as detect outages and be notified about them. Guess what? There is nothing new under the sun: project BISmark does exactly that! 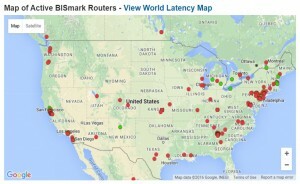 BISmark stands for Broadband Internet Service Benchmark, and is a research project between Georgia Tech and Princeton University. It started by utilizing OpenWrt routers. In addition, it now it supports Android devices as well asRaspberry Pi’s. The project started around 2011.Currently BISmark has 406 devices registered, although only 58 appear active. It’s pretty straightforward to install on a Raspberry Pi. You download an installation script and run it. Similarly, installation instructions can be found for OpenWrt, while the Android app can be found on the play store (search for My Speed Test). The difference with services like Ookla is performance tests run periodically and a dedicated device is used that eliminates measurement inconsistencies that may be coming from the host machine you use with Ookla. Also, on their dashboard you can access collected data from your device as well as data from any other devices connected to their server. 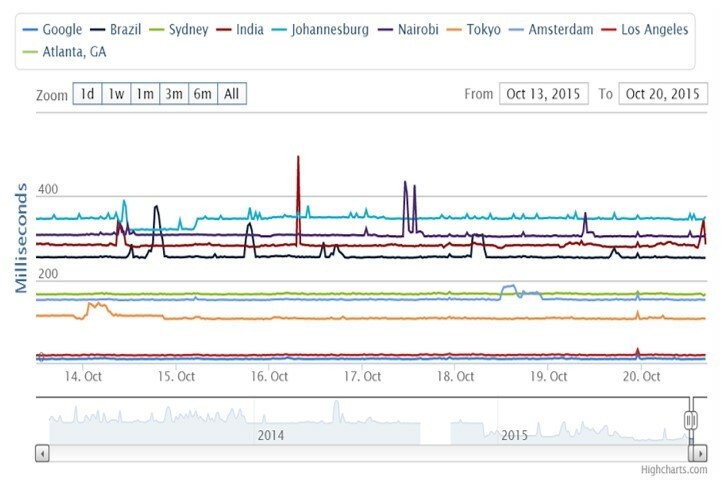 Data points are collected for download,upload throughput, round-trip, and last-mile latency. You can also get aggregate comparison data among different ISP’s. 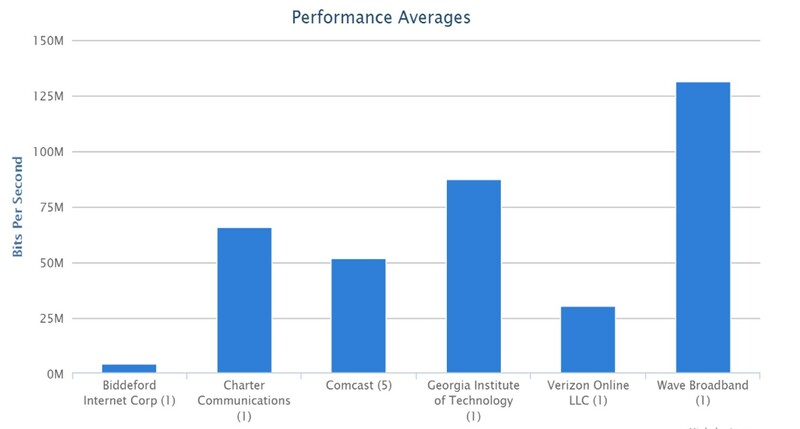 Here is a bar graph that compares last week’s download throughput among Biddeford, Charter, Comcast, Georgia Tech, Verizon, and Wave Broadband. Take this comparison with a grain of salt, since all measurements are based on a single device per ISP (except for Comcast). Overall, it’s a great idea to have this kind of data open the public. 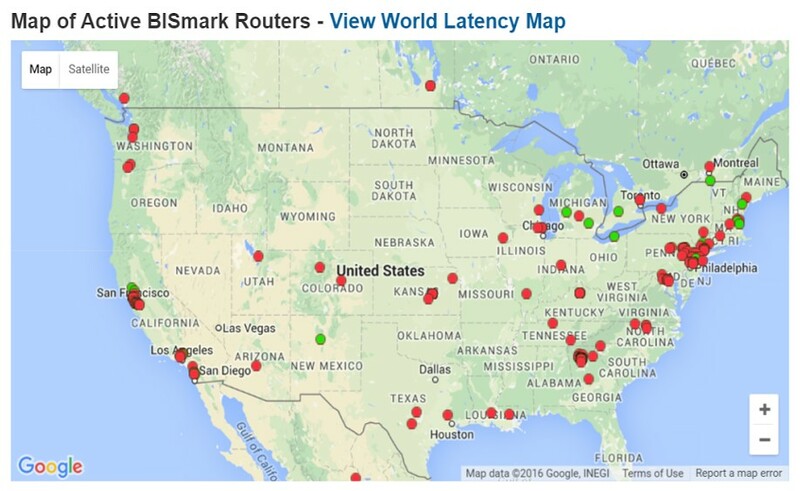 However, to have reliable data BISmark would need more than the 58 devices that currently appear active. In addition, the website,documentation, and other information looked dated. If you have a Raspberry Pi laying around without any good use for it, you might as well sign it up to BISmark and put it to good use for you and everyone else.